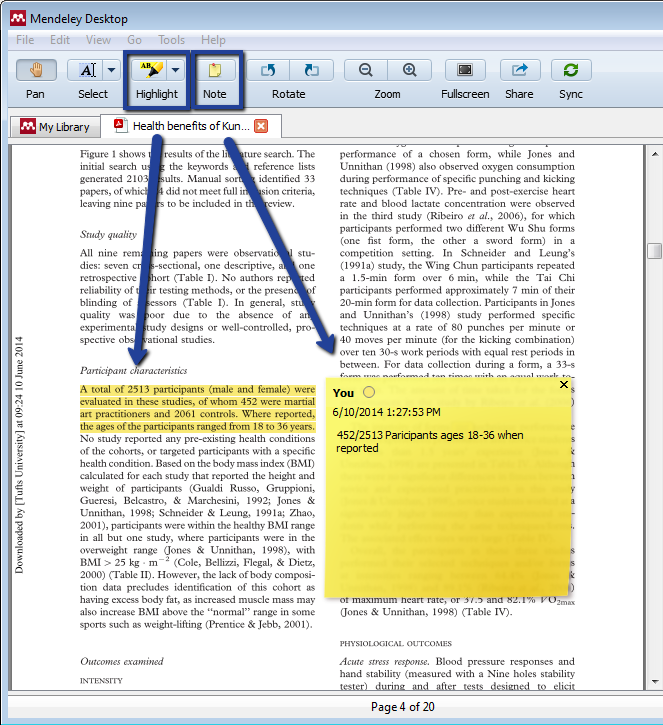 To add highlights and annotations, select a document in Mendeley's PDF viewer. A toolbar with icons will appear above an open document, allowing you to Select text, Highlight and create a Note. Note: Annotations will not appear in the PDF document unless they are exported.